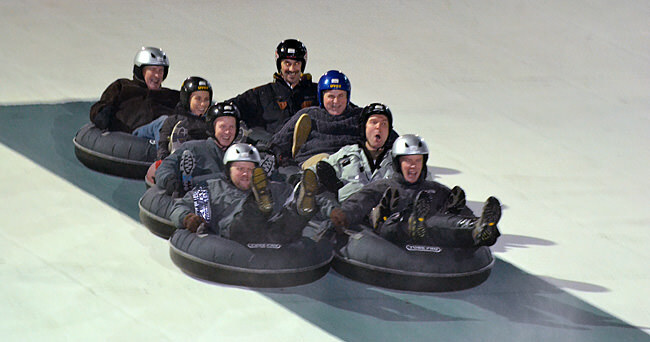 Rather than just going for a standard Christmas meal, the powers that be (Me, Pete and Dunc… well… mainly Dunc in this case) decided that it would be a good idea to start the evening off with a bit of tubing at the Norfolk Snowsports Club on Whitlingham Lane. Anyway, it was all great fun and despite the trepidation (and fear of breaking something experienced by several people) there were no injuries and we were all able to continue on to the King’s Arms on Hall Road for lashings of Ginger Beer and a nice meal in the pub courtesy of the Chinese Restaurant next door. Obviously, as professional photographers, no-one thought to take a camera* (!) 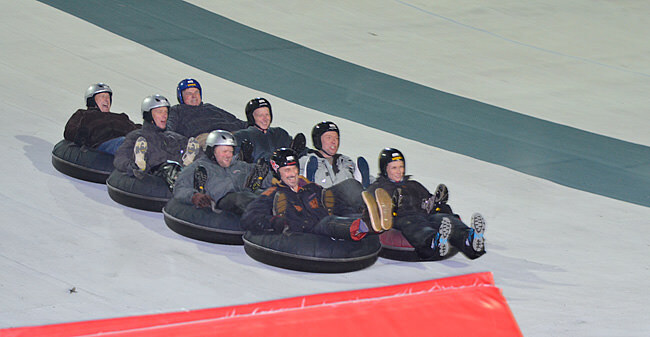 but thankfully there was a very nice chap called John Rogers taking pictures of his party who shared the slopes with us and he mailed these pics over. Thanks John! * We were on holiday! OK?! !